In 1784, a French physicist and clergyman named Jean Antoine Nollet made an interesting discovery. He filled a pig’s bladder with a concentrated solution of alcohol. He then put the bladder in water and the bladder expanded! So why is the water moving into the bladder? And none of the alcohol escaped from the pig’s bladder? This interesting process is caused by a phenomenon called osmosis which you learn in biology. The fact that there is movement of molecules from a lower concentration of solution (water) to a higher concentration (alcohol solution) is caused by the osmotic pressure built up. Although a pig is quite thick skin, it’s bladder isn’t – lol! Osmosis is the process in which a liquid moves from a region of lower concentration to a region higher concentration through a semi-permeable membrane. The pores of the membrane are large enough for the solvent molecules to pass through but too small for the solute particles to squeeze through. 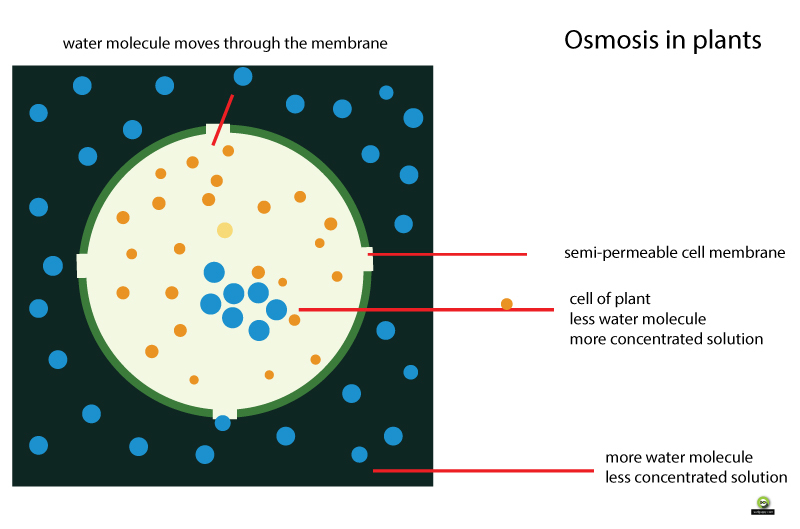 Examples of semi-permeable membranes are walls of plants or animal cells. Use the diagram below to help you visualize the concentration of water molecules – there are more on the outside than inside. “Concentration gradient” is a term used for measuring the difference in concentration between the two areas separated by the semi-permeable membrane. Water moves down the concentration gradient in osmosis. 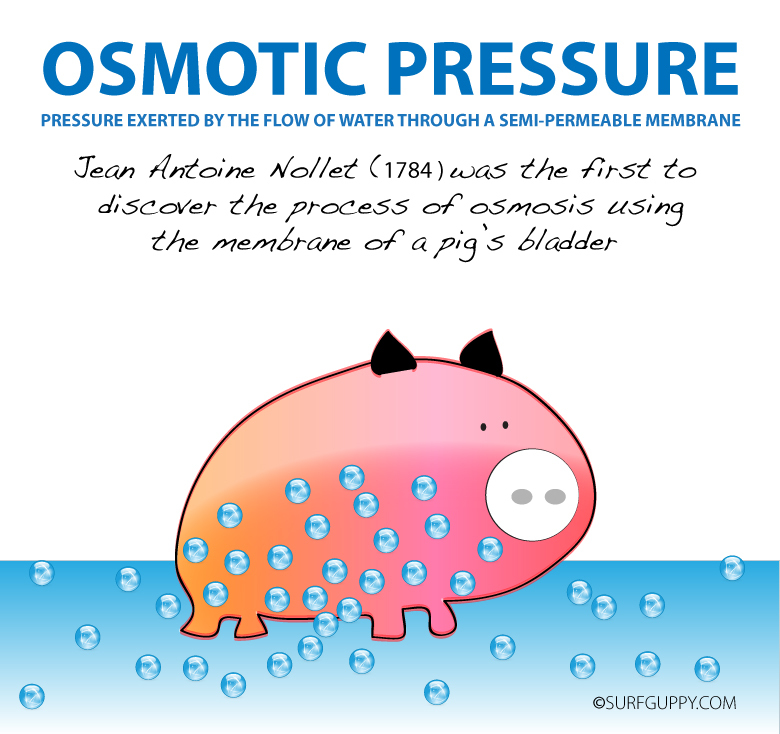 If you take away the semi-permeable membrane, then there is no osmosis. There is only diffusion. The fact that water is diffusing through the semi-permeable membrane is called OSMOSIS. Osmotic equilibrium is achieved when the hydrostatic pressure is equal to the osmotic pressure. That means that the osmosis process stops or come to a halt. As long as the liquid is just pure water, the level is equal in both compartments A and B. As soon as you add a solvent, water moves from the pure side to the solvent side (B to A). If the liquid rise enough in compartment A, it will create a hydrostatic pressure that stops water migrating further from B to A. This amount of hydrostatic pressure is equal to the amount of osmotic pressure that drove the water through..